Looking for some swell tunes to round out your game? Check out Tungerman's awesome pack, currently sitting on the shelf, unloved, in the resource section. There are 15 different songs for use, all made by Tungerman for the Summoner of Sounds event. So go forth and download! Of the 79 blogs that were added to the site between the 1st-15th of July, only 8 made it on the short list. Check them out and aim next fortnight for a spot on the list! Introducing the Context Menu and Action Menu! Today I'm introducing two new features for @JRL. Those features are the Context Menu, and the Action Menu. Anywho, the latest round of stats are up. Not much of note to note as we are only approaching major milestones but haven't actually crossed any of them. Enjoy! A month of blogs, this time around! 17 have made it past the cut of 137 blogs posted during May. Which ones? Check here to find out! This pathfinding will be an implementation of Dijkstra Maps used in the roguelike Brogue. The gist of it is that we will build an array with the cost of each tile. We do this by setting a goal tile to the cost of zero and all the other tiles to some high number. Then each tile check their neighbours cost, if the tile has a cost that is at least 2 higher than the cheapest neighbour we change the cost to 1 above the neighbouring tile. We're going to be playing the Telephone Game! Remember the Telephone Game? Person B sees Pic1 and draws Pic2, trying to recreate Pic1 in their own style. Person C sees Pic2 and tries to recreate it in their own style, making Pic3. Person D sees Pic3 etc. ...for his amazing level "The Lost City!" The evolution of statistics is finally here. Bow before your new masters! The next round of statistics are finally up after a half-month delay. Enjoy! Oh boy, have I got some major news for you girls and boys. Welcome to the Anti-Procrastination Initiative! The aim of this event is to provide a frame that encourages RMNers to take the opportunity to overcome their tendency to procrastinate. 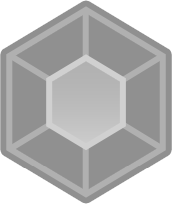 If you are one of us who struggle to stay focused on a task for a longer time, now is the time to start fighting back, and you can earn yourself a shiny achievement and some Makerscore in the process! It's been a long time in the making, but now that I have two Merfolk characters fully designed, I believe it's finally time to talk about the lengthy process that went into finding a final design for this species. With this instalment we reach the full year mark of Best of Blogs. That's two each month for a year. The time has certainly flown! This fortnight we got a total of 70 blogs, with 8 picks. Did your blog make it? Most games are flawed in that they are so difficult that it sparks frustration rather than fun, or they are so wistfully programmed that they literally fail to be playable. There is another type of bad game, however, that’s not so common: the ones so devoid of any meaningful challenge that they create an unengaging experience that fails to satisfy anyone in the end. Pick what you think is a neat idea for the upcoming RMN Birthday Event. If you have a better idea, share it with us! We had a total of 72 blogs this fortnight (May 1st-15th) and of those 10 were picked as the best. Check them out and give 'em a clap on the shoulder for a job well done! A basic overview for beginners, with links to some useful tutorials. The list of Misao-applicable games from the month of April has been released. Check out a few games on the list and have your say as to whether they're worth looking at or not! Share your thoughts on these games and give your recommendations for what is and is not Misao-worthy! Thirty days hath April, so I guess it's time for a progress update! And, honestly, it won't be too different from last month's offering, so feel free to skim straight to the videos if you prefer. It will all be over soon. Hello, yes, this is Liberty. I remembered this time. Check out the best of the blogs from the end half of April. We had a record-making minimum this month!